TIREE: 2 adult Glaucous Gulls at Sandaig, 1 juv Glaucous Gull at Greenhill (John Bowler), 2 imm Iceland Gulls at Heylipol Church (Steph Cope). 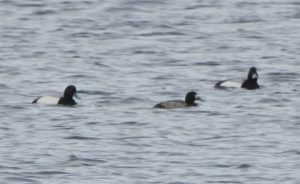 COWAL: Alistair McGregor found 2m+f Greater Scaup in the Clyde Estuary, off Greenock today (therefore not quite in Argyll….pity). 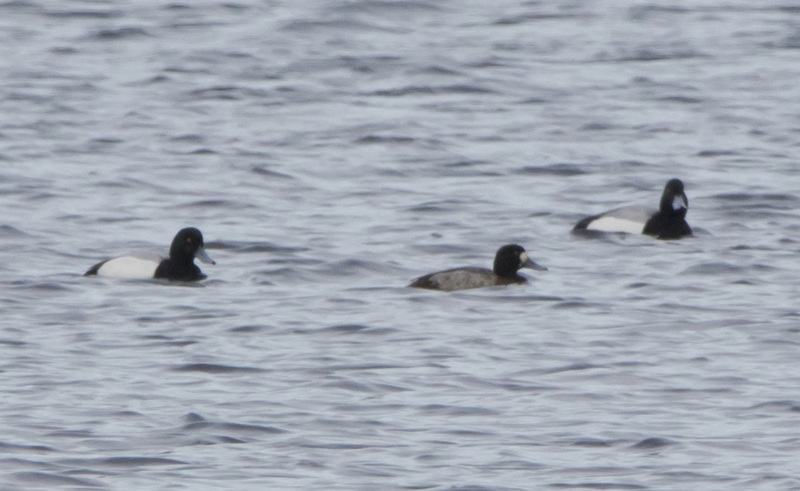 Greater Scauo – Greenock, Clyde 16th Feb (Alistair McGregor). 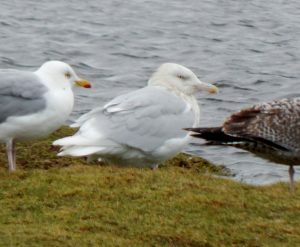 Glaucous Gull – Sandaig, Tiree 16th Feb (John Bowler).